Glock 33 factory 9 Round .357 Sig Generation 4 Magazine G33 GLOCK MF33109. This factory Glock 9 round .357 Sig magazine Generation 4 will fit the following models G33 GLOCK MF33109. They have a stiff metal tube encased in the proven Glock high-tech polymer. This resists deformation – even when dropped from great height or exposed to extreme environment conditions. The XGrip Adapter pictured below may be of interest. 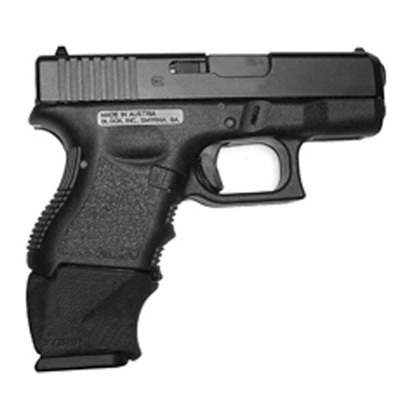 You use it with the full sized Glock 31 magazine giving you 15 rounds of capacity.